Babies all over the United States need their mother’s milk to survive. With the recent difficult economic times casting its shadow over the country, newborns are beginning to feel the pressure. In South Florida, the second non-profit milk depot has been established by a local mother who wants to help the unfortunate infants, even though her child is no longer breastfeeding. The results have been staggering. 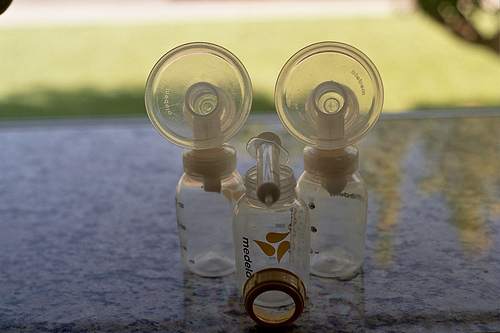 Over the past year, almost fifty women have donated their excess breast milk, making it one of the top five regions that collect and distribute breast milk to hospitals. The babies who need this milk are premature and medically fragile due to many different types of complications. The milk that is given to these newborns are in the form of prescriptions from physicians and are distributed to more than ten states. Clearly and generous act, the selflessness of the mothers who donate their milk is unique in that they give the very means of life to newborns. But even with these kind acts, more mothers are needed to fill the demand for breast milk.